Measuring only 3.5 square kilometers, Comino Island is the smallest inhabited island of the Maltese Archipelago. Situated between Malta and Gozo, Comino was named after the cumin seed which used to be found everywhere in the Maltese Islands. This beauty of an island consists of two white sand beaches, caves, creeks and cliffs. No roads or cars can be found but there are pathways where you can easily ride a bike or hike. The population is that of only four residents with one priest and a policeman visits daily to provide services for the residents and those who visits this popular island. 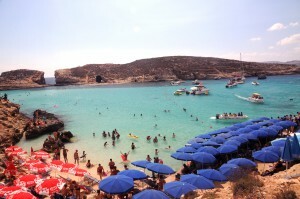 Comino never had a large population, in fact there were times where it was totally abandoned. Researchers says that there were some farmers living there in Roman Times and in the Middle Ages, Comino Island used to be of good shelter for the pirates. 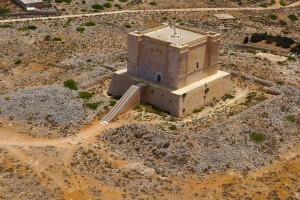 Later on, the Knights of Malta used this island for recreational activities such as hunting. Built in the 13th century and can still be found today, there is a chapel dedicated to the Sacred Family upon its return from Egypt. One can also find St.Mary’s Tower. Built in 1618 by Grandmaster Wignacourt, it used to serve to keep enemies from intruding. Considered one of the best beaches of the Maltese Islands, the Blue Lagoon is situated between Comino and the islet of Cominotto. In summer time, hundreds of tourists and locals visit the crystal clear waters of the Blue Lagoon. The pure white sand at the bottom and the rocks surrounding this bay, makes it a beauty. Snorkelling, scuba diving, and any other type of water sports are practiced daily in this trendy bay. Boat trips from Malta and Gozo are available to make it easy for everyone to visit. 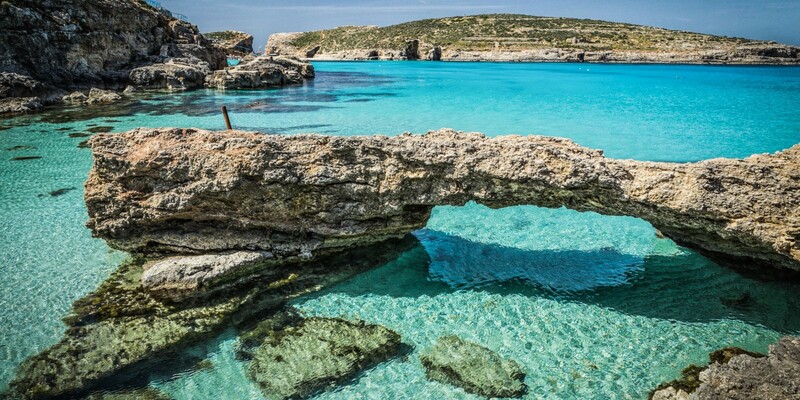 Watch this video Comino for an aerial view of this attractive island. The beauty of Comino and its Blue Lagoon caught the eyes of several film makers where it appeared in films like ‘The Count of Monte Cristo’, ‘Swept Away’ and the mini-series ‘Helen of Troy’. 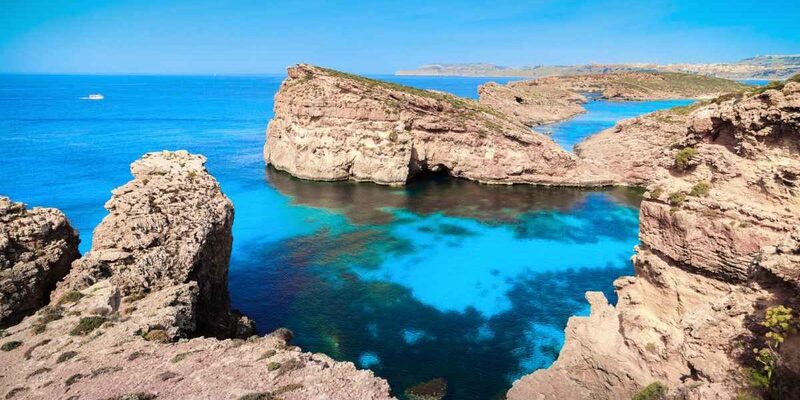 While staying in Gozo, it is a must to spend a day in this jewel of the Mediterranean. 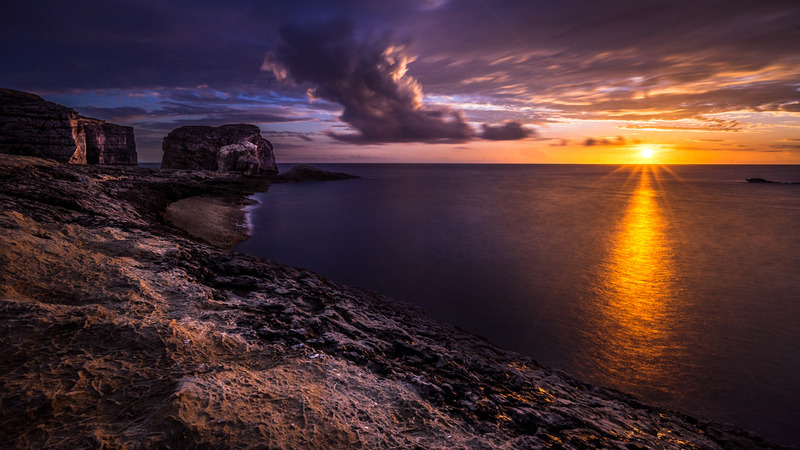 Even though Comino Island is most popular during the summer period, it is also an excellent destination for hikers and photo enthusiasts during winter time. If you’re planning a holiday in the Maltese Islands and want to experience such splendid locations, we can provide you a premium holiday accomodation in Gozo. Contact us for more details.